Totally unrelated to the photos above, I am so happy that I can finally (mobile) blog now, while stalking all your Facebook, Twitter and Instagram posts (hehe). I've been sick and bed ridden since last week, wala akong kagana-gana mag Internet as it just gives me severe headaches. After 2 nights of high fever last Wednesday and Thursday, my parents brought me to the hospital realizing this is not normal fever. My blood test showed I had low platelet count, and my urine test concluded I have UTI. I rest and rest, drank my medicines, drank my Gatorade, and ate what little food I can take in and properly ingest. I just slept a lot, actually. And think a lot! In the middle of the night, will wake up because nasusuka ako. The parentals had been very very patient. 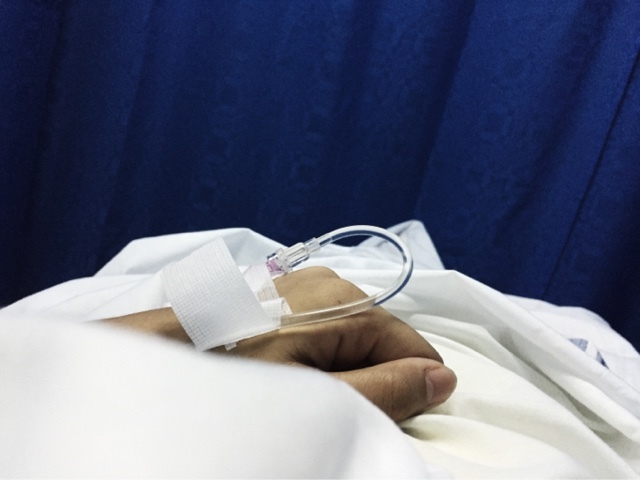 Come Sunday, we went to another hospital for several tests, and was given the news that I was negative to dengue and just experiencing viral infections and typhoid. Mom is so happy re the dengue news. I also felt relieved. It's super hard to get sick when you're self-employed because one, all my plans and schedules had to be bumped off to latter dates. And two, I don't have a health card sooo... Magastos talaga! Anyway, so I am now regaining my strength back and can go online for hours. I still have no panlasa, and my energy lasts for about 5 minutes only, then I feel weak again and have to go back to bed. So no going out muna. :( But I know that things are better than last week. With all that hours, day and night, given for me to think, I chose to be positive about all these things and what lies ahead. I agree with the No Getting Sick Policy for self employed/homebased people like us. Masakit sa bulsa magkasakit! Glad you're doing a little better na. Get well very soon! !